December cotton traded and closed lower on Friday amid a pair of economic reports deemed bearish. One was the Commerce Department’s Producer Price Index. This index measures the prices that manufacturers pay for raw materials. Friday’s number touched a six-year high. No doubt the big uptick was a result of the tariffs implemented by the Trump Administration. The other number was a Chinese report on domestic auto-sales. They fell 12% during October, calling into question the overall health of the Chinese economy. At any rate, the world’s financial and commodities markets absorbed these reports, along with the midterm recounts, as bearish. This negativity influenced cotton lower, as it points to the potential for a slowing global economy and weak demand for commodities, such as cotton. Thus, despite a massive cut to the 2018 U.S. crop on Thursday, December cotton fell over 3.00 cents from the peak report price of 80.50 cents. Yet, late in the session, the Futures did pare their triple-digit losses into double-digits, which was a consolation victory of sorts. For the week, December cotton was off 0.70 cent. However, it was a week of huge volume. In fact, this weeks estimated volume totaled some 307,000 contracts. The higher level of volume came last June, which the market topped out at 94-cents plus on a weekly estimated volume of 312,000 contracts. Friday’s volume was estimated at 69,000. With Monday a federal holiday (Veterans Day) the market may trade a tight range as the Federal Reserve’s banking system will be closed. 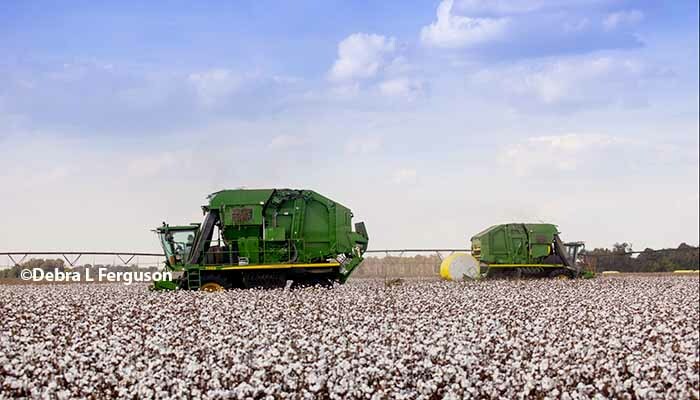 December cotton closed at 78.09 cents, down 0.92 cents, March was 79.86 cents, down 0.68 cent and December 2019 finished at 78.29 cents, off 0.22 cent.